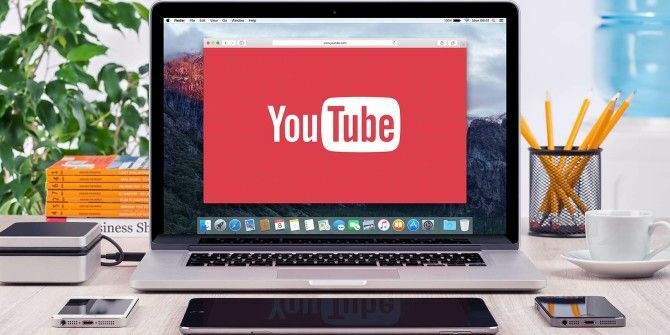 YouTube will forever exist in the history books for the way it transformed the Internet, but here are a few weird yet lesser-known facts that you’ve probably never heard before. 1. Despite its popularity, YouTube is still smaller than Facebook. According to a recent study, 77% of Internet users are on Facebook while 63% are on YouTube. 2. 80% of YouTube traffic comes from outside the U.S. On its own, this statistic is pretty reasonable. But can you guess which country provides most of those non-U.S. views? If you guessed U.K., you’re wrong. China? Wrong. Keep guessing. The answer is Saudi Arabia with more than 90 million views every day. 3. The most searched topic on YouTube is… Music. Nothing weird about that, right? Well, the second most searched topic on YouTube is Minecraft. We already know that Minecraft is super popular The (Latecomer) Beginner's Guide To Minecraft The (Latecomer) Beginner's Guide To Minecraft If you're late to the party though, don't worry - this extensive beginner's guide has you covered. Read More , but I doubt anyone expected it to be that popular. Second on YouTube? That’s just insane. 4. 82% of U.S. Internet users between 14 and 17 use YouTube. At first this doesn’t sound like a weird statistic. Teens love YouTube! But flip it around: 18% of U.S. Internet users between 14 and 17 don’t use YouTube. Basically, 1-in-5 teens who use the Internet couldn’t care less about YouTube. A bit hard to believe considering how prone this generation is to Internet addiction Take A Break From the Internet - You’ll Thank Yourself Later [Opinion] Take A Break From the Internet - You’ll Thank Yourself Later [Opinion] Oh, the Internet. One of the most world-changing inventions of the past century, perhaps even in all of human history. Never before has everything been so available in so little effort for so low a... Read More . True Life: I'm addicted to watching people's Mario Maker videos on youtube. 5. Over 150 countries participated in the Ice Bucket Challenge thanks to the viral power of YouTube videos. In total, all of the Ice Bucket Challenge videos Water Woes: 20 Of The Best Celebrity Ice Bucket Challenge Videos [Weird & Wonderful Web] Water Woes: 20 Of The Best Celebrity Ice Bucket Challenge Videos [Weird & Wonderful Web] With each person who gets doused nominating three more people, the Ice Bucket Challenge has spread quickly. And we have now seen enough videos to make a list of the best so far. Enjoy it. Read More together brought in over a billion views. Got any weird facts about YouTube of your own? Share them with us in the comments below! Explore more about: History, YouTube. Haha, absolutely. "Watch people play games" is definitely one of the more difficult trends to understand for people who aren't of this youth's generation.